The pre-paid nature of our creation has no flaws! Don’t analyze Life too much. Just take it as it comes. Union Minister Gopinath Munde died tragically in a car accident yesterday, the 3rd of June. His two brothers-in-law, Pramod and Pravin Mahajan, died in different years, but again on the 3rd of a month. Today’s papers quote a member of the Munde-Mahajan family as saying, “I dread the 3rd of every month now.” This reaction is symptomatic of over analysis. And, in my humble opinion, and from what I have learned from Life, such a reaction is what breeds insecurity and fear. People are superstitious from conditioning or from analysis or from both. Either way is uncalled for. When you are superstitious about something you are setting some conditions to the way Life must happen to you. Thursdays are good. Tuesdays are bad. This comes from conditioning. So, even if you get a new job, you will not accept it on a Tuesday – because that’s the way you have been raised! You will say, “Can I take the offer letter on Wednesday?”. A few things going wrong – or not meeting your expectations – and you start connecting, analyzing, all that you did that led to this outcome. You conclude that you were wearing blue on all those days when things did not go to a plan. So, blue is an unlucky color for you. So on and on, your mind, your circumstances, your friends, your family, society – everything and everyone tries to make you believe that numbers, colors, days of the week, times of the day, seasons, or whatever, are responsible for your “misfortune”, for your “fate” and for your everything “that’s wrong” with your Life. Nothing can be further from the truth. If you make an attempt to understand Life, you will realize that it happens on its own accord. No color, stone, month, season, time can change the way Life happens – to you, to me, to anyone. You build your own insecurities by expecting Life to behave differently – because you are thinking, you are wishing, for it to be so. When you wear a stone – a ruby or a coral or whatever – to “ward of ill-luck”, or when you place a water fountain on the north-eastern, open, corner of your home, you are actually saying to yourself, “Now that I have done this, let everything happen to my plan.” When it does, you exult. You conclude that your “belief” systems have worked. But what when it doesn’t? Then gemology is wrong, Feng Shui is wrong, and you imagine you have been “led up the garden path”. Wear a stone if you like wearing one. Keep a water fountain if you like the sound of flowing water. But don’t expect anything – a number, color, date, time, day or season – to change anything for you. Because whatever is due to you will come to you, no matter what. Whatever isn’t due to come, will never come, again, no matter what you do or don’t do! 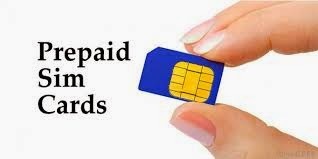 Remember, we are all like pre-paid SIM cards. Our “features” are pre-programmed by the Network, in this case Cosmic, Operator. We will function only per that pre-program. Unless the Operator wills and sanctions, even if you are offering to pay more for additional benefits, no changes can be made to the program, and therefore, to our “features”. Most people call that Cosmic Operator God. I believe it is Life that leads us. So, I bow to Life’s Master Plan for me, and for each of us. And I know, from my limited experience, that this Master Plan, with the pre-paid nature of our creation, has no flaws. Life, as I know it, is simple. It is just a series of happenings. A set of experiences. You must experience each one fully. If it gives you pain, feel it and learn from it how not to suffer. If it gives you joy, celebrate the moment, savor it, knowing fully that it won’t last forever. Life doesn’t call for analysis. It calls for living – fully, in the moment! Author AVIS ViswanathanPosted on June 4, 2014 March 14, 2016 Categories Art of Living, Beed, BJP, Feng Shui, Gemology, Gopinath Munde, http://schemas.google.com/blogger/2008/kind#post, Inner Peace, Intelligent Living, Master Plan, Pramod Mahajan, Pre-paid SIM Cards, SuperstitionLeave a comment on The pre-paid nature of our creation has no flaws!